Prescript: need to hire a link builder on a consulting basis to help you grow your company? You can find them here on Credo. 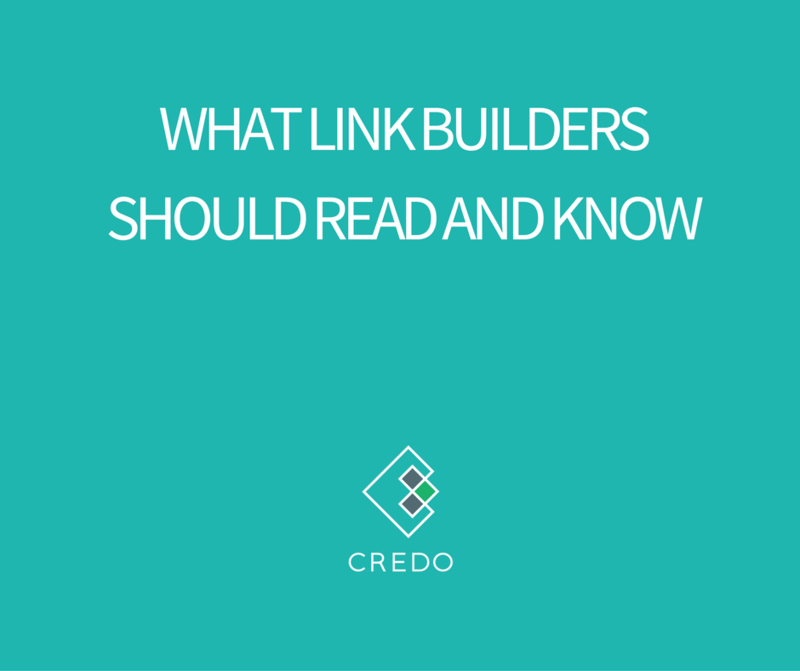 If you’re a new link builder, you probably struggle with where to start learning. When I started in SEO full time in 2010, there were an amazing amount of fantastic new blog posts being written about link building, complete with new ideas and strategies to test. Link building was fun. While we can blame (or credit?) Google and their Penguin and PR machines for a clean up in link building and we have to deal with a lot less spam than before, this has also meant that many of the best link builders have gone underground and no longer write. At the same time, many of the best link builders are now growing their own search marketing agencies and teaching their employees how to do it as well. The industry as a whole has moved on from link tricks to sustainable link strategies. These sustainable strategies, which you could also just called good marketing with great outreach, take a ton more work than link strategies of the past. With all the push to “create great content”, link acquisition is hard. But to be honest, it doesn’t have to be. You wouldn’t know that from reading the popular SEO blogs of the day, though. I’m also not saying that this is a bad approach. It’s real marketing. It’s thought leadership, which has been shown to earn links well and establish companies as authorities in their space. And that’s great for business! The problem with this approach is that it’s limited. When you think about link building, do you just think about writing “epic content” and then doing outreach to it, or do you think about the fact that there are many types of links that are good and useful and add value to the Internet, but are not pointing to something that took a lot of effort? Not to mention, if you only do “content marketing” for link building then you’ll end up with a one-sided link profile (just to content) and not to your money pages that you need to rank! Is that any more natural than only blog links or directory links? So, let’s think outside the box a bit more and think about link acquisition holistically, in ways that will build your business’s organic traffic as well as its standing in your industry as a leader. These are the resources I would use if I was just beginning as a link builder (either for an agency or in-house) to get up to speed as quickly as possible and start generating those valuable links to your site. Before you start building links, you need to get your mindset correct so that you build great links that will help your site rank longterm. While short-term strategies exist, they are always risky and should never be done on client sites. There are a ton of link building strategies. Most link builders are inherently creative and able to come up with new and interesting ideas to build new links for themselves or their clients. But even the best link builders get stuck, and new link builders need ideas. I hope these resources are useful! Leave your favorites in the comments below, and I may promote it to the main list.